Lúcia Tardão, BA in Portuguese and English Teaching by the University of Évora. Since 1994, she teaches both English and Portuguese to students of the 3rd cycle of basic education (ages 12/16) and CEF (Educational and Vocational training Courses). She coordinated the Educational and Vocational Training courses, the Alternative Curricula Courses and ORE (Other Educational Responses). She was the school’s Vice- President (1998/1999 and 2002-2005) and for the last few years she has coordinated part of the Language Department at her school. 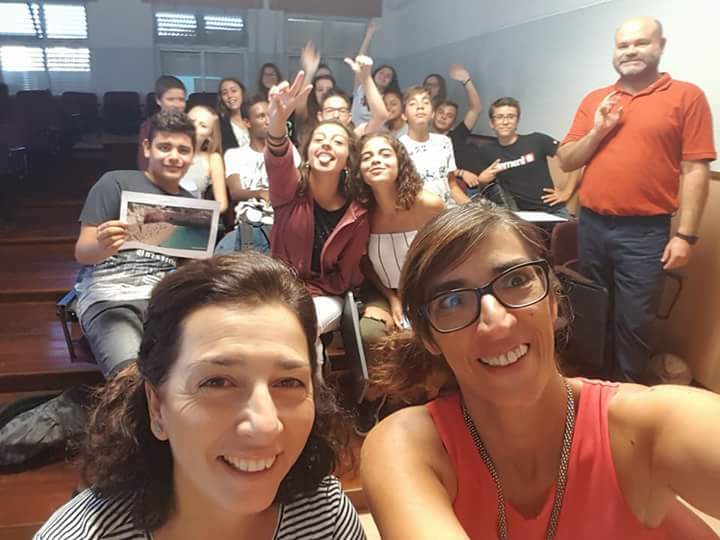 She has worked with the University of the Algarve and with “Escola Superior de Educação do Algarve” as an ESL teacher trainer, as partner in the Comenius projects ETALAGE and PETALL, for which she was awarded with the European Stamp for Quality in Language teaching by the Erasmus National Agency (2016). She participated in the Etwinning Projects Digizen and Let’s be Twins which were recognized with the Quality Stamp. She has been a Cambridge PET for Schools Examiner and General Marker. She has been a teacher trainee in ICT and foreign language teaching. Using Powtoon 4 students from the 9th form of EB 2/3 Dr. Alberto Iria did an animation showing the consequences of climate change, in several areas.